This is a sticker of the Blue Starred Flag, which is the blue version of the pro-independence flag for Catalonia. The Catalan Independence Movement began in the mid 19th century and has significantly grown since then. 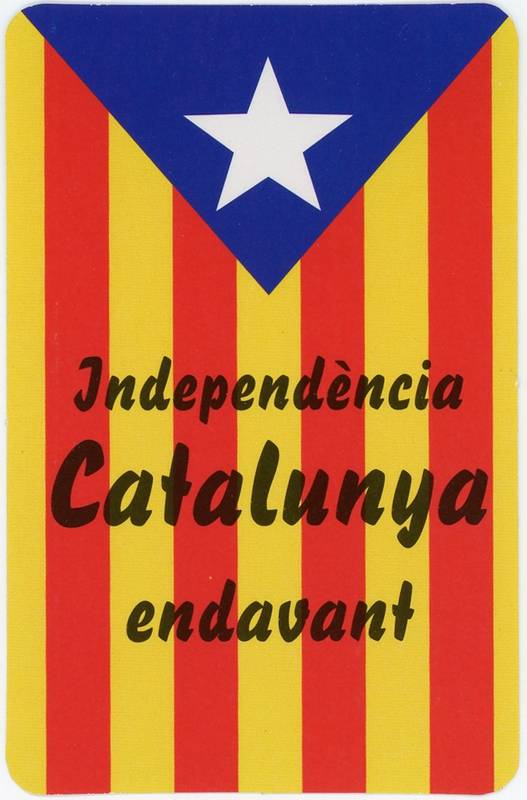 It recognizes the history of Catalonia, the Catalan language and Catalan traditions that have survived Franco's surpression to be distinctive from those in the rest of Spain and therefore calls for its full independence.